Z57 Inc. -- more than real estate websites. Z57 provides personal web marketing for real estate professionals. It’s great to be No. 1! 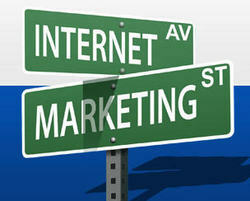 We are a results-oriented real estate Internet marketing company serving thousands of REALTORS nationwide. At Z57 we attract top caliber people and maintain a positive and fun culture. Z57, Inc., a leading provider of real estate online marketing services, was recognized by the San Diego Business Journal as San Diego’s No. 1 Web Development and Design Firm for the 10th consecutive year. Z57, Inc. earned the top position in the publication’s 2011 Book of Lists based on the number of local employees as of August 1, 2010. Z57 has held the No. 1 position in this category since 2002. According to City-Data.com, San Diego’s 1.3 million population’s median age is 32.5 years old with 35% of the city’s population holding a bachelors degree. The Southern California city is a center for high technology and biotechnology. Nearly 160,000 high-technology workers are employed at 1,400 companies throughout San Diego. To qualify for the web category No. 1 position, privately-held Z57 reported 155 full-time employees in 2010, a 12% increase over the number of employees in 2009. Founded in 1998, Z57 management recognized the potential for creating Internet marketing opportunities for the influx of young IT talent. The firm targeted the real estate industry to develop its benefit and feature-rich website products and services for REALTORS® nationwide. Within four years Z57 was recognized on the 2002 San Diego Business Journal’s list as the No. 1 Web Developer and Design firm. Even during the height of the real estate downturn in 2007-2009, Z57 retained the No. 1 position. Z57 Inc. Founded in 1998, Z57 Inc. specializes in feature-rich designed Realtor websites, with content, lead capture / conversion and buyer / seller traffic generation.